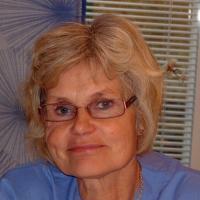 Dr Pia Petrini has been educated in Stockholm at Karolinska and has been a qualified consultant in pediatric medicine and developmental disorders in children for over 20 years. Dr. Petrini also has a specialization in coagulation and bleeding disorders. Since 1985, Dr. Petrini has been the head of the pediatric coagulation unit in Karolinska, working primarily with haemophilia. Dr. Pia Petrini is a member of the European Pediatric Network for Haemophilia Management (Ped-Net), and the European Association for Haemopilia and Allied Disorders (EHAD), Nordic Haemophilia Association and the Arosenius Foundation. Clinical reasearch in the field of coagulation disorders in children in special heamophilia and von Willebrands disease .